Give your child the joy of musical noisemaking! Visit our bookstore to learn more about Barnyard Beats and other Exploring Music Together books from Melissma Music. Out of 60 Needed to Ship! ​Check out this awesome new book from Stephanie Callan! Music Learning Blog Featured Post: Is Color Coding Helpful or Hurtful? that your kids will want to play- and won't hurt your ears! Halloween Special! On $0.50 on TpT! ​Every Day Item Music Labels. Make your classroom inviting (and snazzy) with these helpful labels! Get now at Melissma's TpT store! Our items are designed to be fun, authentic and delightfully useful in the music classroom. Check them out and tell us what you think! Designed for busy music teachers BY a busy music teacher! Click To Visit Our TpT Store! 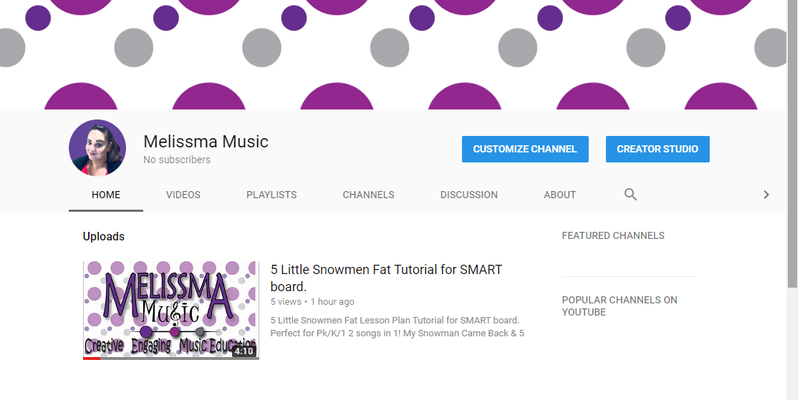 ​Looking for cool new music ed ideas on a budget? Check out the Mlog! Copyright 2018 Melissma Music. All Rights Reserved. 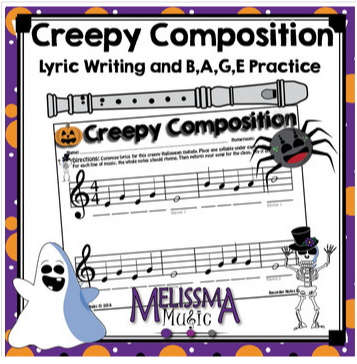 Please Do Not Copy or Distribute Graphics or Materials Without Express Permission of Melissma Music.